On Saturday February 10th. 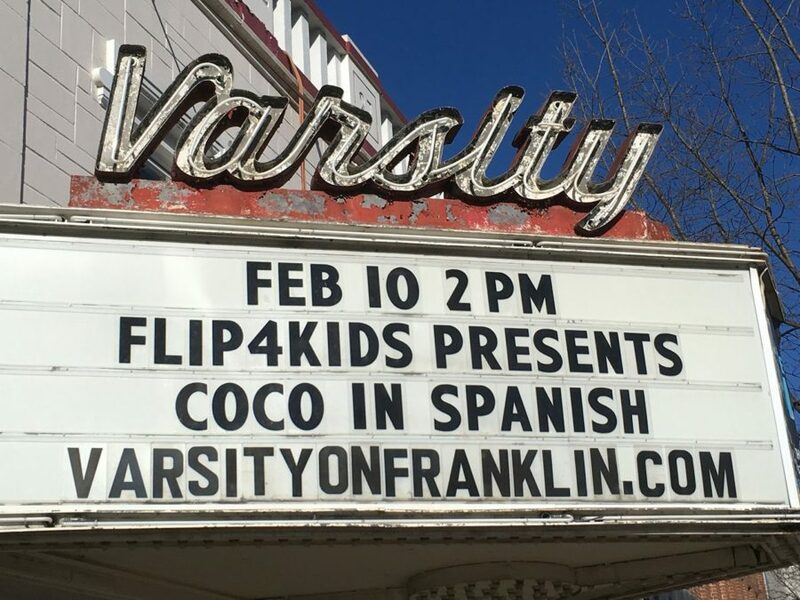 Please join us at The Varsity on Franklin Street in Chapel Hill to view Coco in Spanish. Families all over the world learn English by watching movies and listening to English music. Families in America should learn different languages in the same way! Movies are an authentic tool families can use to learn or maintain a second language. Watching familiar movies in the target language will expose children to native-speaker languages.